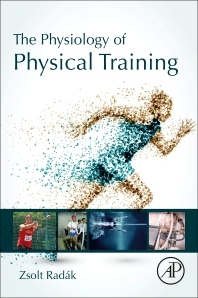 The Physiology of Physical Training provides complete coverage of the physiological and methodological aspects of physical training, providing essential knowledge for anyone involved in exercise physiology. Physiological processes at the cellular level (and for the whole organism) are covered to better explain particular training methods and convey a deeper knowledge and understanding of training techniques. Coverage of exercise training-induced adaptive responses and the most appropriate training methods to bring about targeted adaptive changes are also included. This is the perfect reference for researchers of physiology/kinesiology and human kinetics, practicing coaches, graduate students and sports medicine specialists. 9.2 Does high VO2max decreases the incidence of cancer? Zsolt Radák received his PhD from Tsukuba University in Japan. He has received Hungary’s Bolyai Research Fellowship in Medicine and the Szechenyi Professorship from the Hungarian Academy of Science. He is the DSc of Hungarian Academy of Science in the field of medicine. He is a professor and served as dean, and also associate-dean,of the Faculty of Physical Education and Sport Science of Semmelweis University,Budapest, Hungary. Since 2008 he has been the head of the only sport science doctoral school in Hungary. From September 2014 he was professor and head of the Research Institute of Sport Science, University of Physical Education. He has been a visiting professor at Toho University, Juntendo University, and Waseda University in Japan, Rennes University in France, Texas University in the USA, and Beijing Sport University in China. A great compendium for Coches with an open mind. Trainers who take this book to their hands, will get a lot of substantive knowledge, a practical combination of coaching experience with the latest scientific achievements.